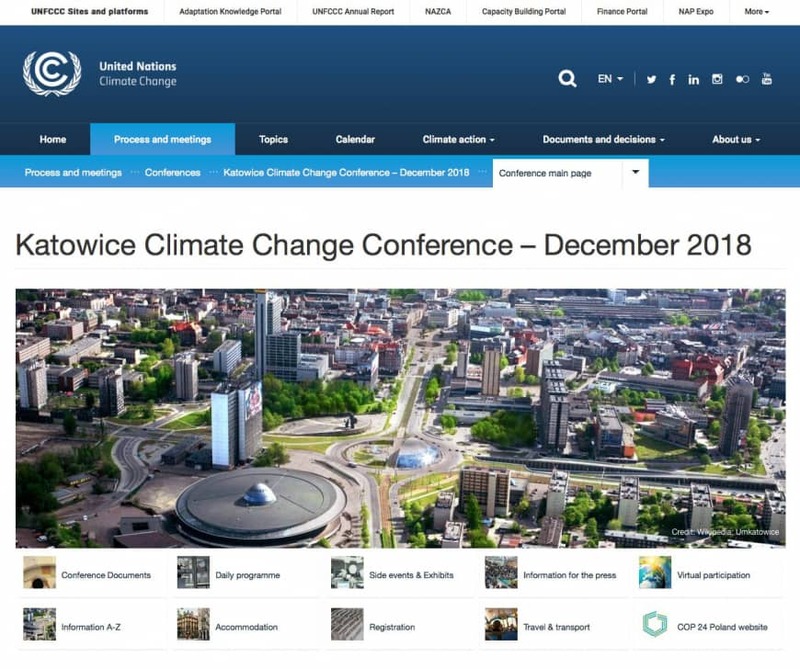 Adapting implementation guidelines of a climate change accord to combat global warming is the crucial objective at the 24th Conference of the Parties (COP) to the United Nations Framework Convention on Climate Change (UNFCCC) in Poland from Dec. 2 to 14. 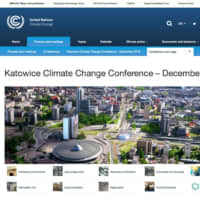 To finalize the rules for implementation of the Paris Climate Change Agreement adopted in 2015, around 20,000 people from some 190 countries, including politicians and those representing nongovernmental organizations, the scientific community and business sector, are expected to attend this year’s conference in the southern Polish city of Katowice. Michal Kurtyka, secretary of state in the Polish Ministry of Environment, is chairing COP24. The Paris accord aims to limit the average global temperature rise to less than 2 degrees Celsius above pre-Industrial Revolution levels, and pursues efforts to cap the increase at 1.5 degrees. The Paris agreement was significant in that for the first time, it brought all nations into “a common cause to undertake ambitious efforts to combat climate change and adapt to its effects, with enhanced support to assist developing countries to do so,” according to the UNFCCC. 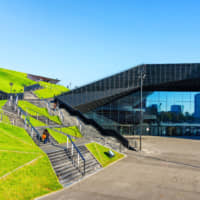 The implementation guidelines, developed under the Paris Agreement Work Programme, are crucial as they ensure “the true potential of the Paris agreement can be unleashed, including ramping up climate action so that the central goal of the agreement can be achieved,” said the U.N.
What is supposed to serve as a “key scientific input” into the Katowice conference is a special report published in October by the Intergovernmental Panel on Climate Change (IPCC). 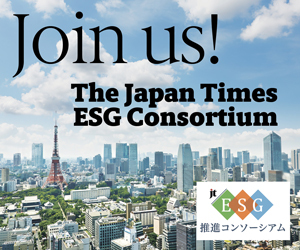 The special report on Global Warming of 1.5 C said “rapid and far-reaching transitions in energy, land, urban and infrastructure (including transport and buildings) and industrial systems” would be required to limit global warming to 1.5 degrees. The IPCC was invited by the UNFCCC to create the report in 2015 when the international community reached the Paris accord. Additionally, the conference will also see the high-level, political phase of the Talanoa Dialogue to “take stock of the collective efforts of Parties in relation to progress towards the long-term goal of the Paris agreement and inform the preparation of NDCs (nationally determined contributions).” NDCs refer to each country’s national efforts to reduce emissions and adapt to climate change impact, which needs to be submitted by 2020. They will be updated and reported every five years. The Talanoa Dialogue, established last November at the COP23 meeting overseen by Fiji, aimed to create “an inclusive and positive atmosphere for the exchange of experiences and ideas in support of the global effort,” boosting ambitions to achieve the Paris accord’s goal. It was named after a traditional concept of open, respectful conversation for the common good in Fiji and across the Pacific. 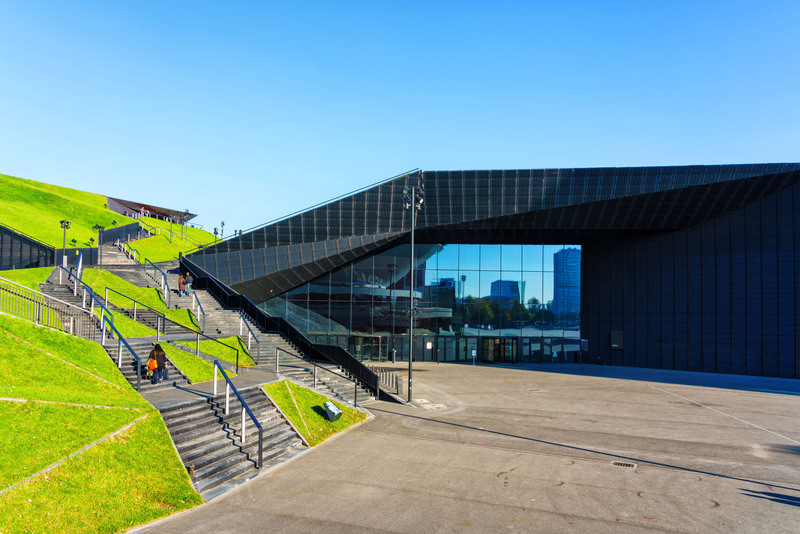 Prior to COP24, there were many international efforts to bring about a successful outcome, including the Bonn Climate Change Conference in Germany in April, followed by the Bangkok Climate Change Conference in Thailand in September. In October, a so-called Pre-COP preparatory meeting was organized by the incoming Polish presidency in Krakow to lay the foundation to advance the work program. The UNFCCC was adopted at the Rio Earth Summit in 1992, entering into force in March 1994, with its ultimate aim being to preventing “dangerous” human interference with the climate system. With annual sessions, COP is the supreme body of the UNFCCC Convention. It makes decisions necessary to ensure the effective implementation of the provisions of the convention and regularly reviews the implementation of these provisions.